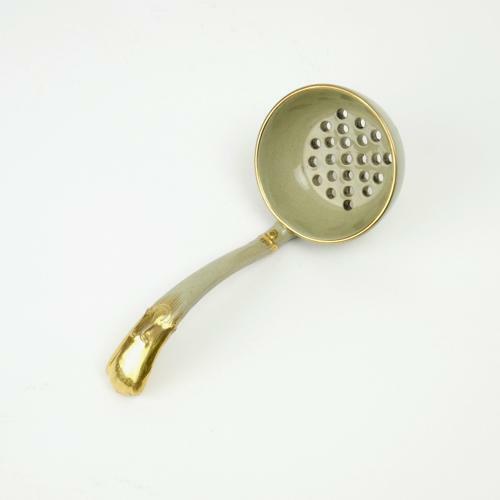 An early 19th century, Wedgwood drabware, pierced ladle with gilt decoration. This piece is marked ‘WEDGWOOD’ and it dates from c.1820. There is also a small, impressed mark which is known as the ‘moustache’ mark. It is very finely potted and has attractive, moulded detail to the handle. The pot is covered in a drab coloured glaze and the moulded detail is highlighted with gilt. It is in excellent condition.